388 in stock Need More ? Never be stuck for words with our extensive dictionary. 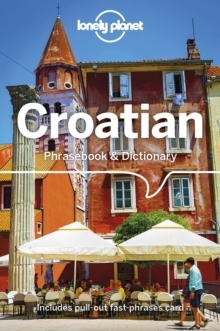 Our phrasebooks give you a comprehensive mix of practical and social words and phrases. Chat with the locals and discover their culture, a guaranteed way to enrich your travel experience. Get more from your trip with easy-to-find phrases for every travel situation. Order the right meal with our menu vocabulary. Use our carefully selected words and phrases to get around with ease.